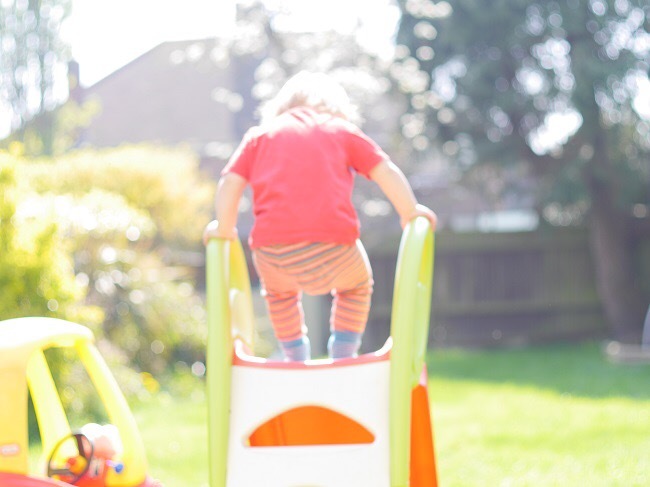 A few weeks ago I wrote about all the different things we are looking for when we finally purchase our own home later in the year and one of those things is a garden. When we first moved into our two bedroom waterfront flat in Liverpool, I loved our little balcony. I adored inviting friends round and having a few drinks outside in the sunshine and having glorious views over the Mersey watching cruise ships come in. However, when Dexter arrived that completely changed. The balcony was now a danger zone and I longed for a ‘normal’ house where we could have a garden for him to play in. I’m not looking for much from our dream garden but I do want it to be big enough for Dexter to play in while giving us room to have furniture so my husband and I can sit outside and enjoy a few evening drinks or a barbecue. I’d like it to be private enough so that I can sunbathe on those rare days we get sunshine during the summer yet accessible easily from the house so family can pop in and out as they please. Purchasing a house and moving home is very expensive and I’ll be looking to create our dream garden on a very tight budget. Luckily there are lots of hints and tips on Pinterest as well as lots of deals online including these new garden deals at Groupon. 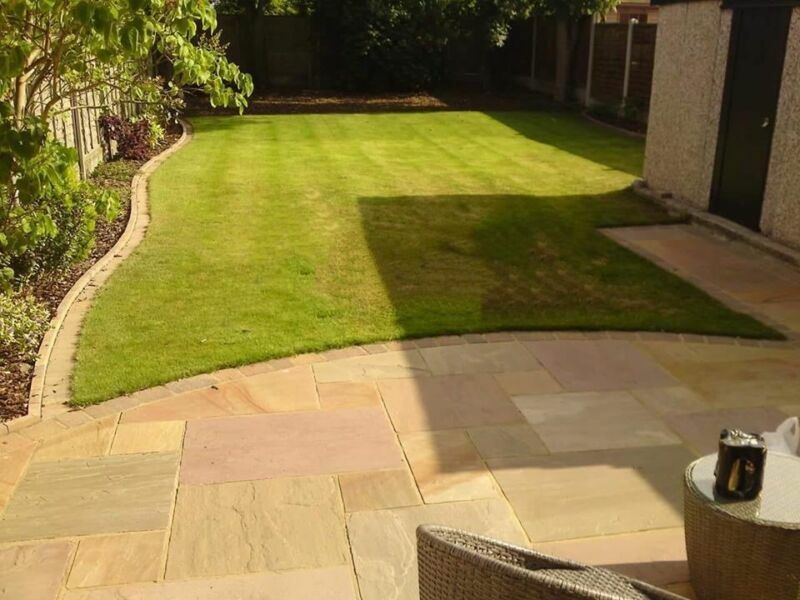 I’d love to have a wide patch of grass which would be perfect for kicking a football around in alongside a decked area perfect for a table, chairs and a barbecue. I’m not particularly interested in gardening and have a severe problem with flies, wasps and bees so wouldn’t be looking to have any plants or flowers bedded in alongside the periphery of the lawn. This way the garden is easily maintained by my husband mowing the lawn once a week and no worries about having to cut back bushes and look after plants. I would love garden furniture that is easy to clean because we all know little spiders like to make their home inside them and they are another creepy crawly I like to avoid (It’s amazing I go outside at all really isn’t it?!) They must be easily stored in the garage at winter whilst looking stylish too. Alongside the table and chairs I’d love a barbecue as my husband loves roaring up a good barbie when the summer comes. And what about a hanging chair perfect for those lazy Sunday afternoons? I can’t think of anything better! Candles are one of my favourite things and I’d love to splash out on a range from Wax Lyrical for the table top, preferably a range that keeps flying insects well away from me! I’d also love some solar fairy lights to make the seating area more cosy of an evening, I’m imagining then draped like bunting. I can’t wait for Dexter to be able to have his own sand and water table to play with along with a goal post for those all important kick arounds with Daddy and a slide because there’s nothing Dex lives more than going down a slide on his front! 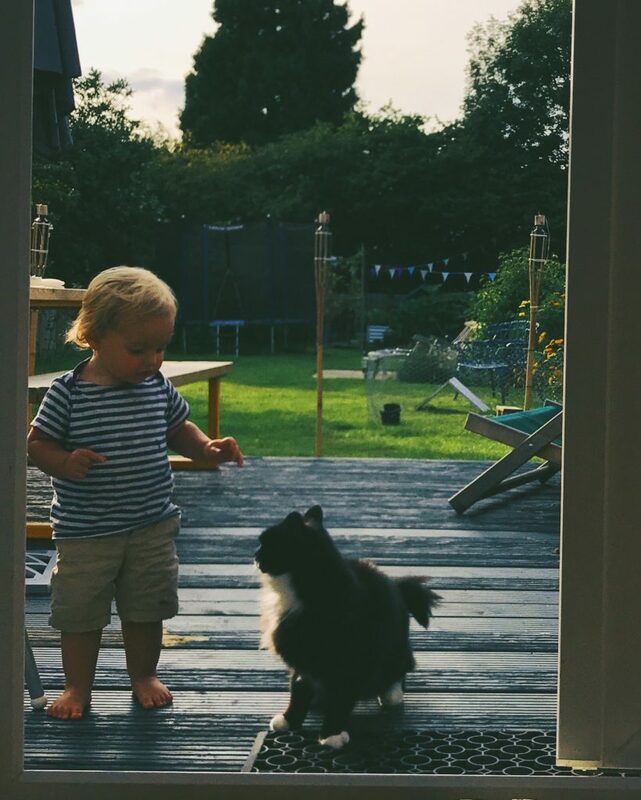 I’m so excited for the future and what it will bring including, hopefully, a beautiful new garden for Dex to play in and for us parents to enjoy some summer evenings in. Thank to Carla from MyBump2Baby, Craig from Rambling Dad and Gemma from Mummy’s Waisted for the images.